The FutureMakers Coalition was formed in March 2015 as part of the Southwest Florida region’s inclusion in Lumina Foundation’s Community Partnership for Attainment, a program of 75 community cohorts throughout the country dedicated to significantly increasing the percent of residents with college degrees and post-secondary certifications and credentials. 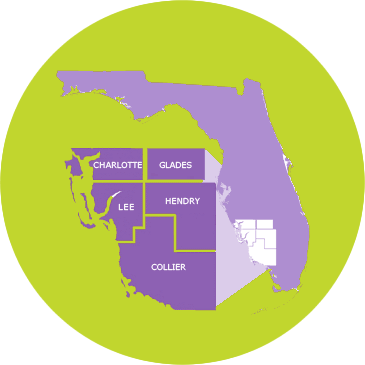 The regional initiative in Lee, Collier, Charlotte, Hendry and Glades counties is comprised of a growing number of educators, workforce developers, business leaders, economic development professionals, government officials, residents and students dedicated to finding solutions together. County partners also collaborate to identify local outcomes towards the regional collective goal of the Coalition to transform the workforce. Future Ready Collier is a network of organizations, businesses, schools and community members working to ensure every child in Collier County, Florida is ready for kindergarten, and every young person enters adulthood with a vision and plan to accomplish that vision. Become a FutureMaker by clicking here to sign our virtual wall.